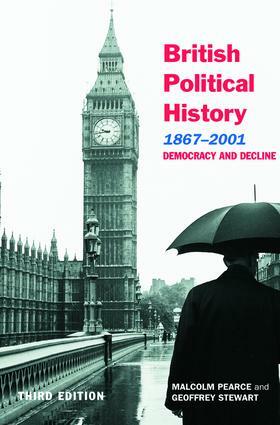 This third edition of British Political History, 1867–2001 is an accessible summary of major political developments in British history over the last 140 years. Analyzing the changing nature of British society and Britain's role on the world stage, Malcolm Pearce and Geoffrey Stewart also outline the growth of democracy and the growth in the power of the state against a background of party politics. the 2001 General Election results and implications. Students of British politics and history will find this the perfect resource for their studies.